Danny Sheridan passed away on May 24th 2016. This site was created by Danny and Angelle Sheridan, and per Danny's request, it will be maintained to preserve his memory and his music. L to R Skip Towne, Danny Sheridan, Rick Kennedy, David Allen Coe, Gary Dixon. decidedly off-key, and always irreverent country style. In 1969 this was pretty potent stuff." 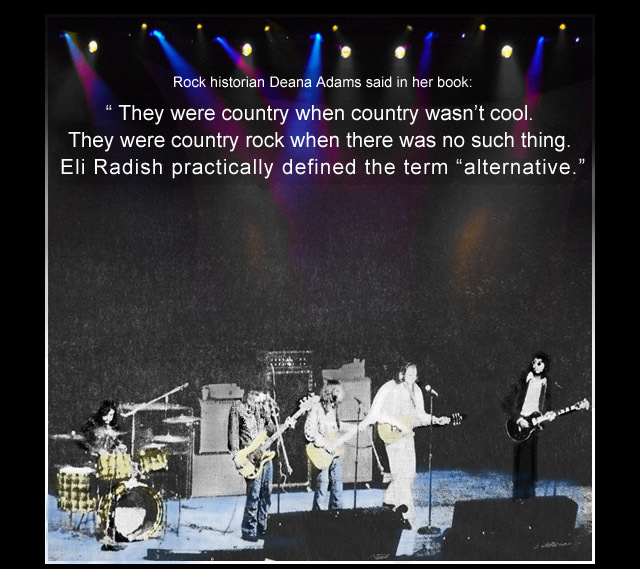 The lyrics of David Allen Coe's "Longhaired Redneck" forever memorialized the concerts he performed with Sheridan while fronting the Eli Radish Band. In 2014 Sheridan began managing Coe, and is producing his new CD, "Just As I Am", with esteemed producer Boris Menart.